Alright, guys. So, as a kid I never, ever ate oatmeal. To this day, I still will not eat oatmeal packets. Blech! It wasn’t until the last few years that I discovered I can make my own oatmeal, and make it taste however I want! Oatmeal is such an economical food. It’s cheap and filling, and when you add delicious things to it, it can be a treat! 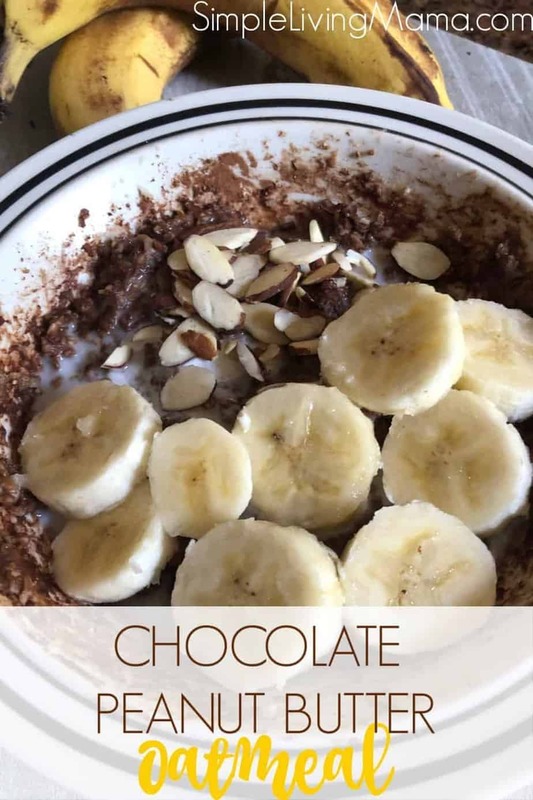 Today I am sharing my three minute chocolate peanut butter oatmeal recipe. This recipe couldn’t be any simpler! 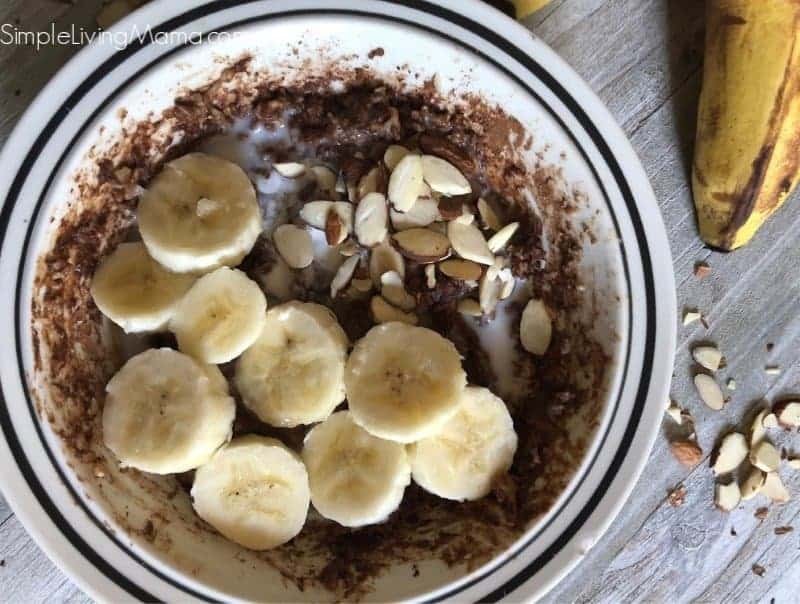 You’ll need 1/2 cup rolled oats, 1 cup of water or milk (I usually prefer almond milk, but used water here), 1 tablespoon peanut powder, 1 tablespoon cocoa powder, and 1/2 tablespoon Pyure sweetener. 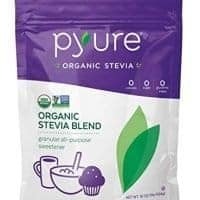 You’re also welcome to use any sweetener you prefer, I just use Pyure because it is stevia based. Place the oats and water or milk in a microwaveable safe bowl and microwave on high for 2 minutes and 30 seconds. The microwave makes this a quick breakfast. Of course, you can prepare this on the stovetop, but you’ll spend more time making the meal. Remove the bowl from the microwave and stir in the cocoa powder, peanut powder, and sweetener. Tip with sliced bananas, sliced almonds, and if you have them, some sugar free chocolate chips! I also like to flood my oatmeal with extra almond milk to make it even more creamy and cereal like. 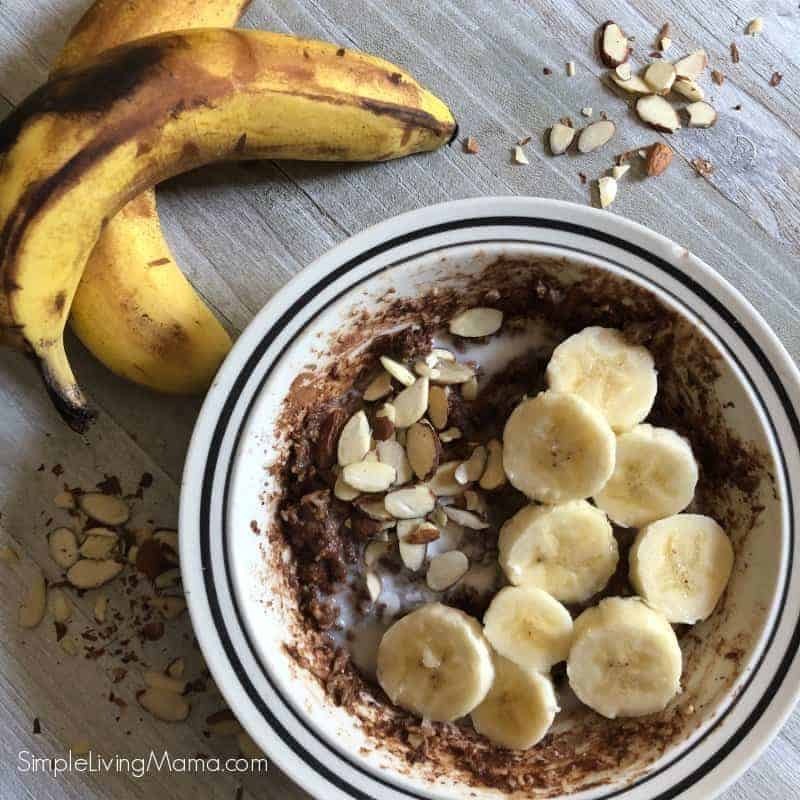 This breakfast is perfect for a homeschool mama who needs a quick and sweet breakfast or lunch. 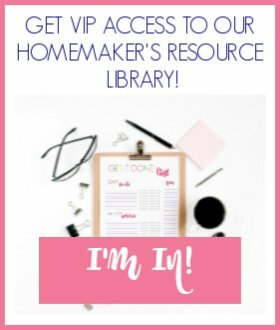 It’s also easy enough that your kids can make it for themselves! 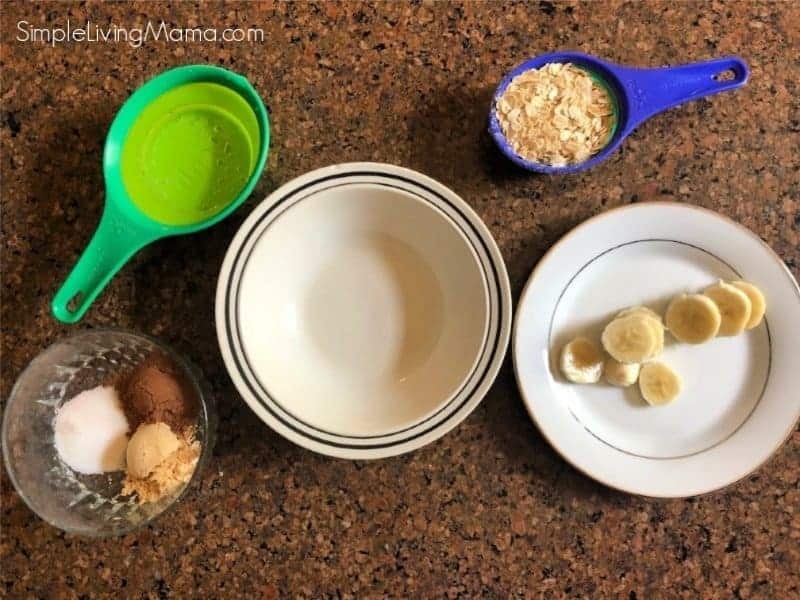 As always, adjust the taste of your oatmeal by adjusting the amount of your ingredients. Switch up the toppings and make it your own! 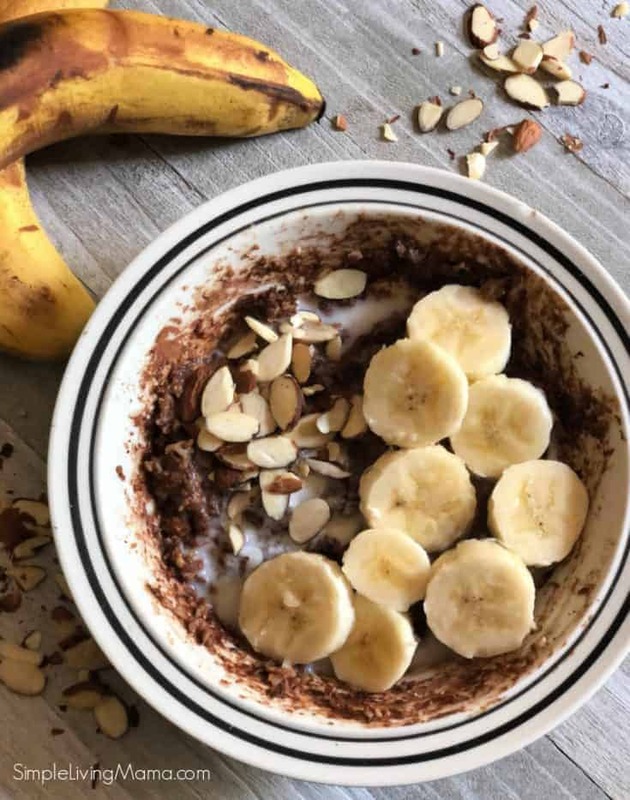 A yummy, sugar free chocolate peanut butter oatmeal recipe that you can eat for breakfast! Mix oats and milk or water in a microwaveable safe bowl. Stir in powders and sweetener.